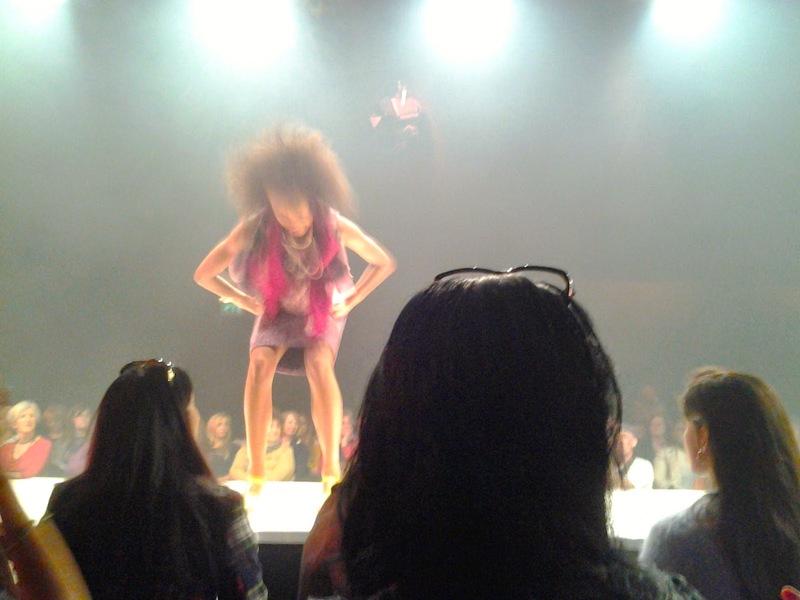 Review: Bristol Fashion Week SS14 and SouthWest Bloggers Cocktails - CounterCultural. CounterCouture. 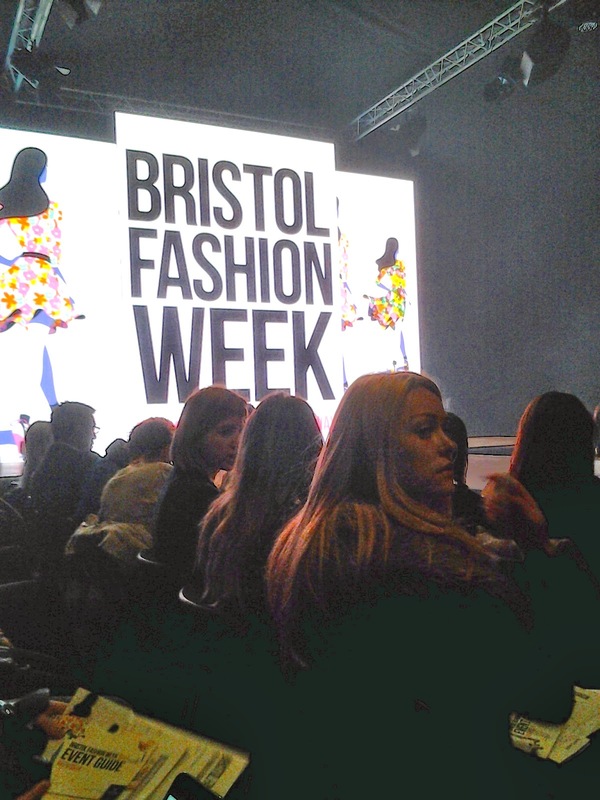 You may have seen my haul last night from the Bristol Fashion Week, over a week ago. Well, here is my post on the day itself. And it was a long day! To start with, I was at the station by 8.50am to catch the train to Bristol, despite the show not starting until 5pm. The early start was in order to catch up with a friend studying at Bristol University but he could only do 10.30 that morning. So off I headed to Cabot Circus, somehow not managing to get lost from the station, to grab a coffee and chat from Pret A Manger. It was great being able to chill out and chat about what we’d both been up to, but before I knew it we had to part ways. So off we went, trekking to the university and bus stop to go our separate ways. The bus took about forty minutes to get to Cribbs Causeway so I arrived around 12.30pm. After a quick mirror stop to retouch my hair and outfit, I picked up my bloggers pass (first ever one!!!!!) and headed for the pamper zone. There was a choice of about ten different stores offering to pamper and style those willing to try something new. I went for four different ‘treatments’. Firstly I had my colours done, though it essentially confirmed what I knew. Apparently I’m a winter, which means I favour navy, burgundy, forest green and other warmer colours. So no neons or pastels for me… not that I was disappointed. After this, I was persuaded while browsing to test out the facial cleanse from Jericho. As I sung my praises rather a lot yesterday (here), I shall not bore you again today. But I was amazed by how quickly it cooled my face and reduced the tomato shade of redness I am so prone to. Straight after this I rushed over to Liz Earle, where I had made an appointment earlier that day. Having my make up done by a professional is such a soothing experience and I love my eyebrows after they were shaded in. I’m just sad that the mascara made my lashes itch within a few hours. After I finished taking care of my face, I took advantage of the free fringe trims being offered by Supercuts. I had grown my fringe somewhat stupidly long- it wasn’t really a fringe anymore- and it was really annoying me whenever it came out from behind my ear. So the chance to get it trimmed for free was one I jumped at. As the picture below shows, it instantly bounced back to a wavy liveliness that felt far more like me. … Completed by a fringe trim from Supercuts. After my fringe trim, I still had a few hours to kill. During this point I bumped into Gina Jones, of Bristol Fashionista, who was running the BFWSS14 social media for the day. As part of this included snapping street style and blogger pictures, I had my photo snapped before heading off to do a bit of shopping. For details on what I actually brought, check out my haul post. Then, at 4.30pm I headed to the BFW venue to join the other bloggers and students waiting expectantly for the doors to open. On opening, we were handed our goody bag vouchers before picking up a glass of bucks fizz and a pot of crisps. Shortly after this, we were allowed into the real venue to settle in for the fashion show. My scene order for the catwalk. The expectant audience waiting for the show to start. 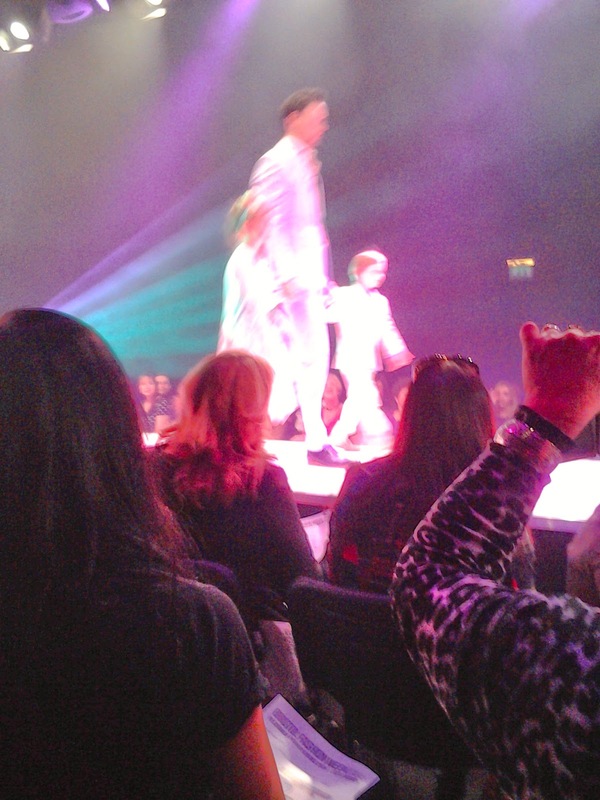 The show was started by Marks and Spencers, who got the party started with great music and really captured our attention. 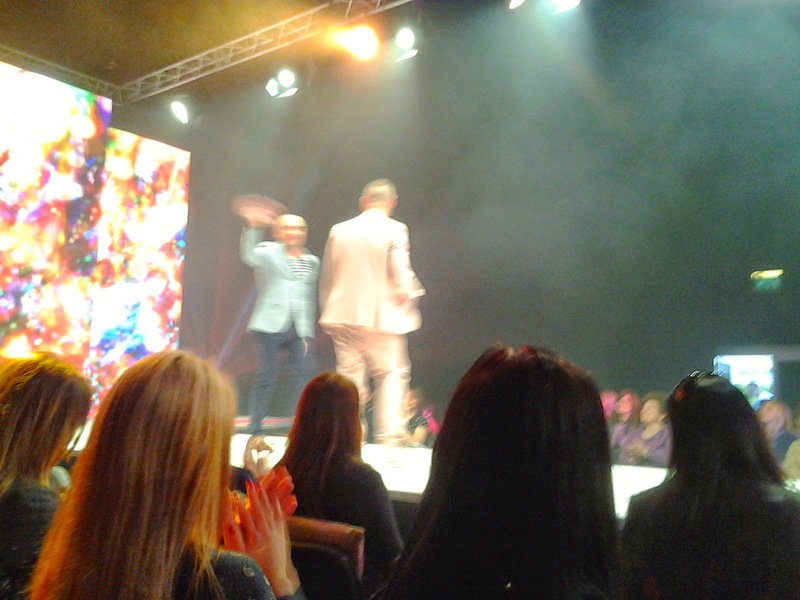 Soon after this, Andrew Barton and Mark Heyes appeared to host the show and welcome everyone. The show followed from then on seamlessly, with Andrew and Mark appearing in between to introduce each scene. Awwww, so cute! 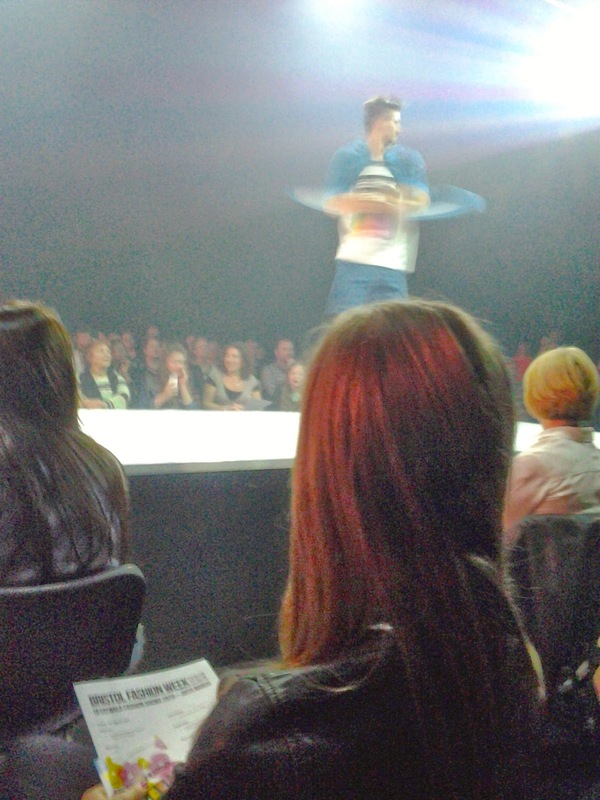 Childrenswear was included in the show. I loved the Jigsaw backdrop. Kaleidoscopic! And the Jigsaw florals were pretty feisty too. 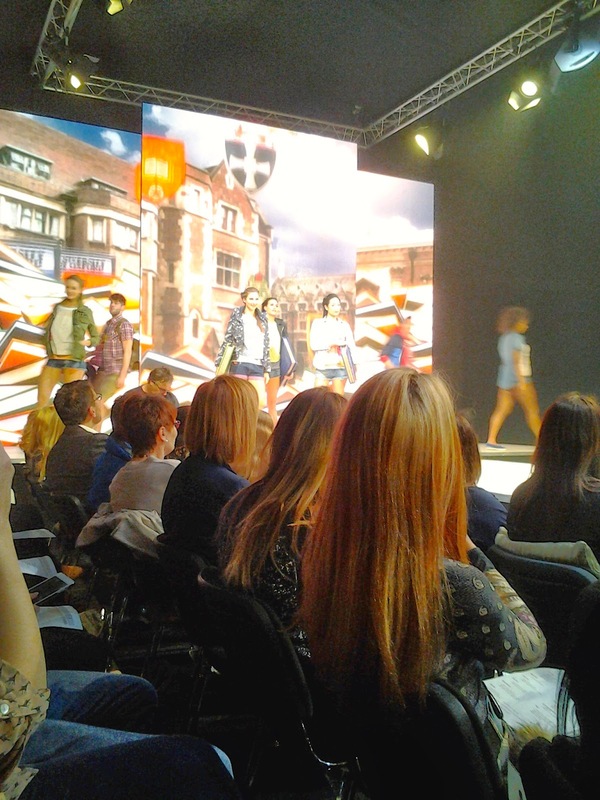 Superdry was one of my favourites, with a 90s/00s retro college vibe going on. This swimsuit was one of my favourites. So modest yet totally glamorous! Laura Goodchild was chosen for the Model Makeover after her battles with breast cancer while pregnant! Her dress was from John Lewis, which Mark Heyes helped her choose. Such an inspiration for this coming spring with colours, florals and art. I simply loved the colours… but is it enough to move me away from black? The artist takes the glory! Rollerblading on stage… Seriously thought he was going to fly off the end! Animal, beloved by several of my male friends, gave the surf trend a floral twist. I loved Animal just because it felt like a bit of a party was happening. 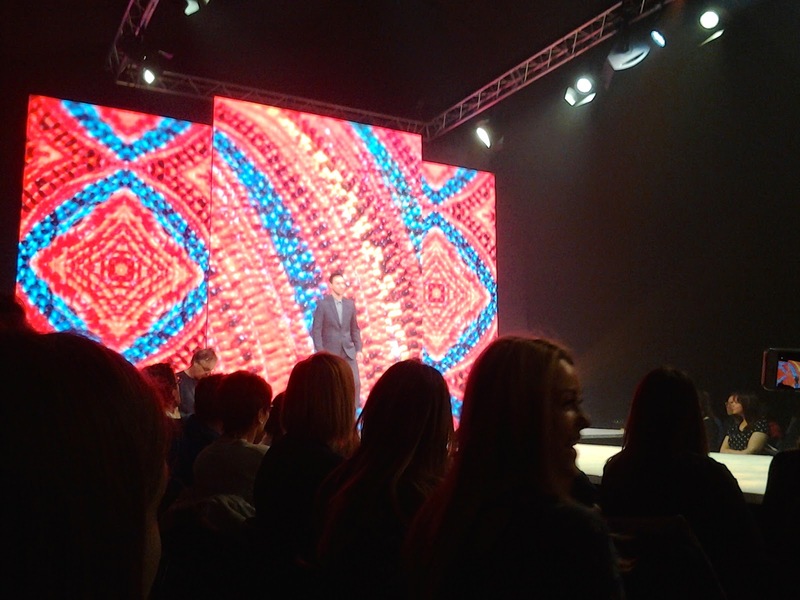 During the show, there was also a competition in which we could win a designer bag from John Lewis. I wasn’t lucky enough to have the correct number but to be honest I probably have enough bags already. There was another competition whose winner was announced just before the show’s finale. 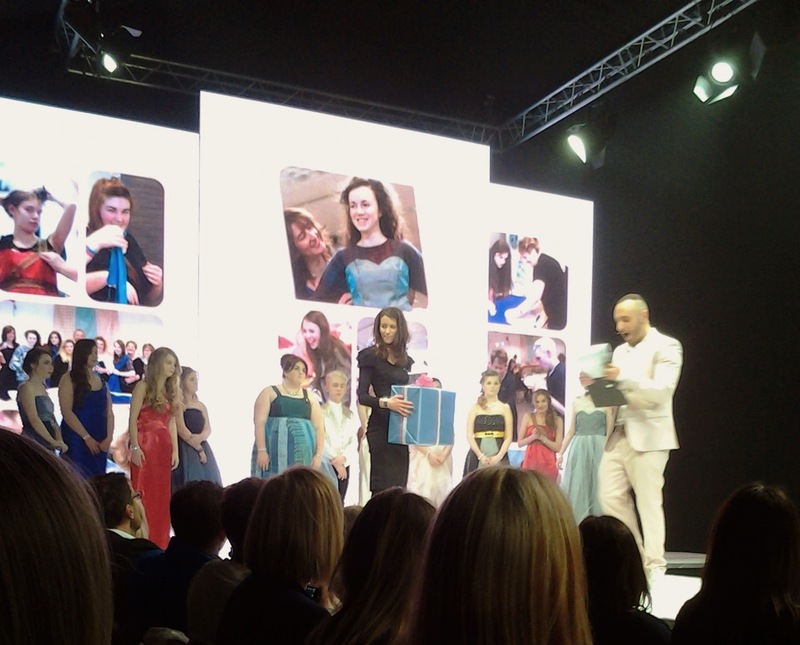 The John Lewis Student Prom Sewing Competition invited students from local schools to design a prom dress. The ten finalists were invited to make their designs, with help from Great British Sewing Bee winner Stuart Hillard, and model them on the BFWSS14 catwalk. My personal favourite was the Batman inspired frock but the overall winner was Chole Marsh. 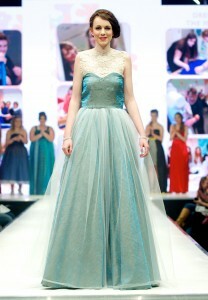 Her dress was gorgeous, in sea green with white tulle layered over the top. I love the Batman inspiration and the sparkles. Then came the finale. Inspired by the carnival, the most colourful items from stores across Cribbs Causeway finished off the show in a blur of dancing, musical and stylish splendour. The kids take their final bow. 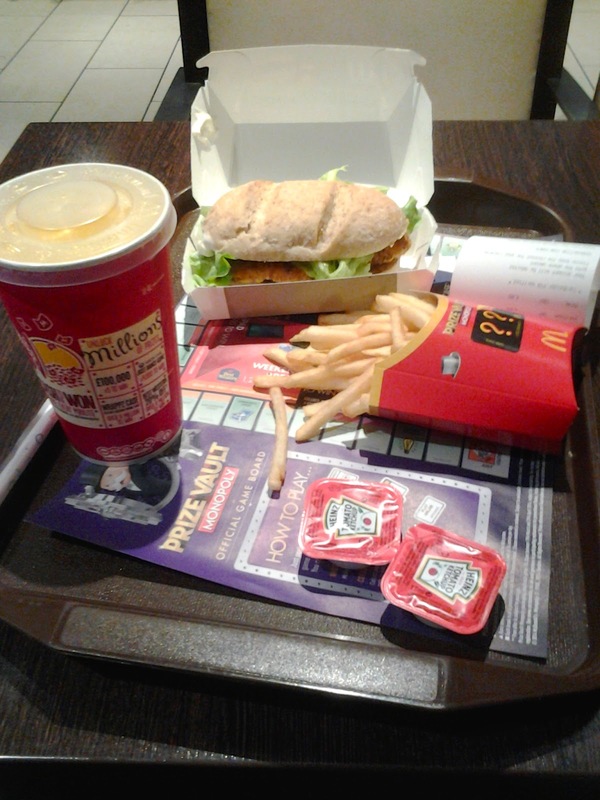 Once the show was over, I headed back into the mall to pick up my goody bag and browse the shops some more.Then my stomach called and I headed off for a quick fix of Chicken Legend, fries and fanta. It was at this point, while enjoying a (supposed to be) rare treat, that I realised I did not know which bus I needed to get to my next stop. Fortunately, due to some helpful locals and a friendly bus driver, I found myself across the road to Be At One. A new addition to The Triangle, Be At One is a fantastic cocktail bar with a massive range of drinks. Gina had booked tables for bloggers to join her for after-show drinks, and as I was dying to pick the minds of other bloggers I jumped at the opportunity. (You can see some of the pictures Gina took here.) Due to train-constraints, I only spent an hour there but I was able to test drive two drinks. The Maple Margarita was a wonderful twist on an old favourite but the winner was the Strawberry Shortcake. Simply made from vanilla ice cream, strawberry syrup and amaretto, it was far too drinkable. But unfortunately I did not have time for a second before jumping on another bus and heading for my train. Almost two hours later, I finally made it home. (I may have bumped into friends at the station and brought fries from the kebab shop…) By the time I had climbed the stairs, I was so happy to see my bed that I celebrated with an Instagram post. 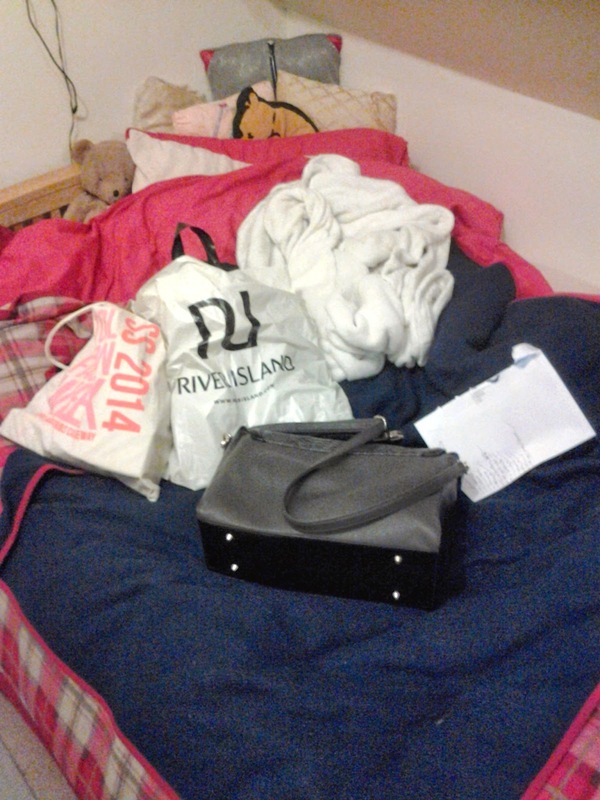 Finally I return home from Bristol to the comfort of my bedroom. So that was my day in Bristol. Busy, stylish and sociable. I couldn’t have planned it better (accept the bus confusion, perhaps). How about you? 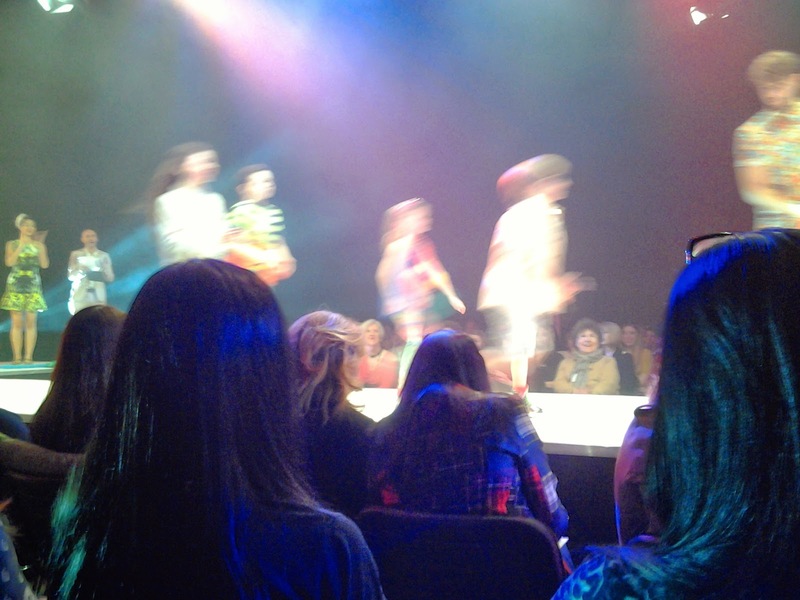 Have you made it to any local fashion weeks this year? Thank you I'm so happy that you liked my Batman dress! Congrats to the winner though! They were all fantastic dresses. I just have a particular fondness for superheroes, especially Batman.